There was a recent report in Club Industry that Kohls, the retailers are partnering with big box chain Planet Fitness. It seems that the shrinking need for bricks-and-mortar store space led to a creative opportunity. That’s definitely a “get lemons, make lemonade” solution to the changing retail market. In the fitness industry, creative thinking can be the difference between getting kicked to the curb and pivoting to a new business model. Obviously, in this case, hacking means finding low-cost gym marketing solutions by applying creative thinking. So, why not use some creativity to hack your local business community on whatever scale suits your fitness company? You probably find that your small gym business attracts a very localized crowd. So, your competitors are nearby, as are all of the other members of your business community. Perhaps there’s a business hack on a smaller scale than the Planet Fitness/Kohls partnership waiting among your local business peers. Networking and chatting with them can lead to opportunities that contribute to the benefit of all. To succeed in your fitness business, you need to attract more sign-ups than the other gyms and hold onto new members longer. If you can make allies of the community around you, you can offer to trade like-for-like, provide discounts to the other’s purchasing customers and draw people through your front door to sell memberships and premium products on top. Network to build your personal influence network in the local community. Networking can take many forms. Get to know your neighbor business owners. Arrange exchange deals where you give discounts on each other’s goods and services. If there’s a local business club, where members meet and swap business cards, that should be your first stop. Check with your region’s Small Business Administration office or your local chamber of commerce. Find meet-ups on meetup.com where people who share your interests. Read your local community paper and business newspaper. This old-fashioned approach still works. You may have seen stands stacked with local free papers around your neighborhood. They never seem to go away, and the shelves keep getting restocked. So, there’s probably something useful within. If it’s still publishing, it’s because somebody pays to advertise and there are readers out there. Partnerships need both balance and trust. In whatever appropriate form, they can be good or bad. As a small gym business owner, if you work with a giant company, you risk getting the short end of the stick. Commerce can be very transactional and big usually means bureaucratic. Large companies can be notoriously quick to demand payment and slow to pay. A more equal balance may work better. However, there’s the danger of not getting paid there too. Likewise, your partners may need time to build trust in you. Any partnership should be approached cautiously; one step at a time. As online has grown, bricks and mortar retail has taken the hit. That’s working in favor of big companies like Planet Fitness. It also helps aspiring and ambitious fitness pros. As long as you can build influence to attract people on platforms like meetup.com, you can bring them together in any suitable physical location. Fitness clubs can rent space to trainers and instructors by the hour. If you’re a trainer building a following, propose renting space by the hour anywhere. Reach out to your community. You may find a local business, church or school happy to let you offer classes and group sessions. You don’t need a lease on Main Street to start building your gym business. It’s not the physical location that defines your brand and service. Instead, it’s the reputation you have in the community and online. I designed Gym Insight for fitness clubs, but the software supports other business models within the industry. You don’t need a lease to benefit from Gym Insight. If you could hook up with a national retailer, it might not be worth it for you. The imbalance of scale could quickly lead to a situation where you’re at a disadvantage. Working with businesses that are the same scope and sales as yourself can work better for everyone involved. If your door is open to the public, you can find creative ways to bring in new prospects. If you’re looking for ways to start a new club the same is true. Reach out to the people around you and get creative. Balkhi, Syed. “7 Growth Hacks Every Small Business — Including Yours — Should Know.” Entrepreneur. June 25, 2018. https://www.entrepreneur.com/article/315320/ (accessed March 30, 2019). Dominic, Anthony. “Planet Fitness Announces Development Partnership with Kohl’s.” Club Industry. March 15, 2019. https://www.clubindustry.com/news/planet-fitness-announces-development-partnership-kohls (accessed March 30, 2019). Fagan, Lawrence. 7 Small Business Entrepreneur Hacks I Found On The Internet. Feb 8, 2019. https://blog.gyminsight.com/5364-7-small-business-entrepreneur-hacks-i-found-on-the-internet/ (accessed March 19, 2019). —. “The Big Picture in Client Acquisition and Client Retention.” The Gym Insight Blog. 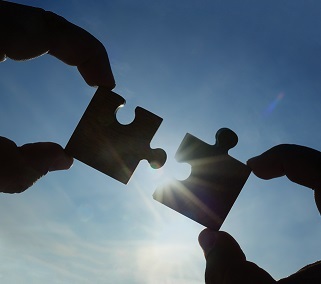 December 27, 2018. https://blog.gyminsight.com/5303-the-big-picture-in-client-acquisition-and-client-retention/ (accessed March 30, 2019).